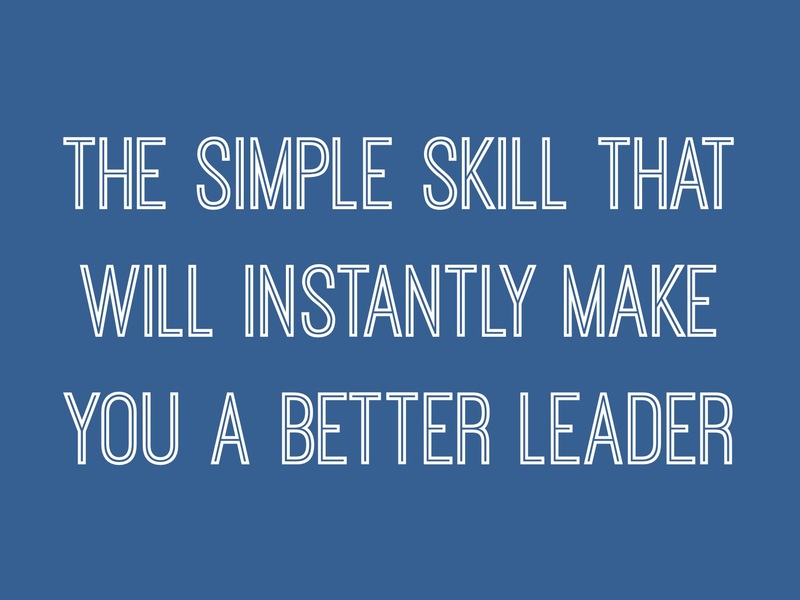 There's a simple skill that will instantly make you a better leader. It has been called the single most important and underrated leadership skill. This means you focus less on yourself and more on other people. When you walk into a room, make it "there you are" instead of "here I am." It's more important to be interested than it is to be interesting. Practice active listening. This means focusing on what the other person is saying instead of thinking about what you want to say next. That's not always easy. We have things we want to say and our natural inclination is to talk about those things. But when you talk less and listen more, people will want to follow you. And when you allow people to talk about themselves, they will feel more fondly about you as a leader.